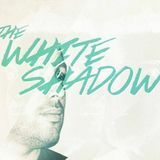 THe WHite Shadow also known as Anthony Godwin was born with a Techno soul and he has soon delivered what we could considered as his own unique sound: a mixture of melodic beats with an incredibile variety of influences, in which future and past are carefully combined. Young and bright mind with already strong experiences and a forward thinking approach to music. His future seems bright, with upcoming release on Crossfrontier Audio that are going to take him far in the electronic and techno music world. Keep always an eye on THe WHite SHadow, more is yet to come!